For many, many years the big chain hotels defined tourism in Mexico. Over time, however, the boutique hotel experience has carved out quite a niche for itself. It seems more and more travelers are looking for an intimate and authentic look at Mexico. They are stepping away from the one price fits all “wrist band” vacation and opting for time in something with some cultural bite. In 1999, I was working in Mexico full time and started to hear a buzz about a new hotel group. 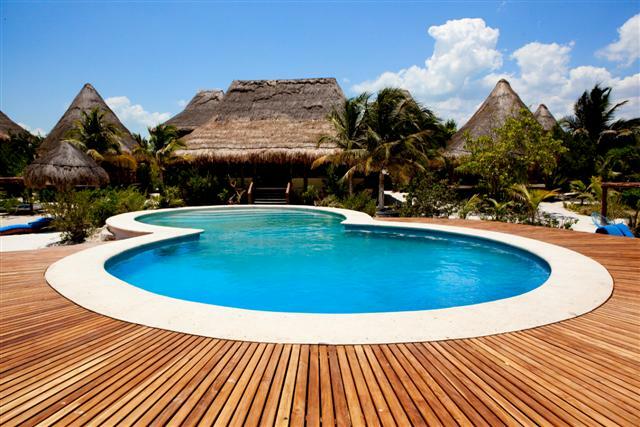 Back then, Mexico Boutique Hotels (MBH) was just getting a foot hold in the market. Today MBH is one of Mexico’s most prominent and respected hotel associations and has raised the bar high for small luxury properties. The lovely and brilliant Sylvie Laitre is the Director of Mexico Boutique Hotels (MBH). Originally from Canada, Sylvie graduated with dual (bilingual: English and French) degrees in Communications and Leisure Studies (specializing in tourism development) from the University of Ottawa. She worked in Canada in museums, at festivals, and even as a private fashion consultant (while in college). She moved to Mexico to learn Spanish and never looked back. She moved up through the ranks of the hotel world wearing a number of hats ranging from guest services, sales, and reservations to accounting, reception, and public relations. I recently talked to Sylvie about MBH and learned more about the “boutique” experience in Mexico. Tell me about MBH and how it came to be, how long it has been around and a bit of the history? MBH was created at a time when hotels didn’t have websites (and if they did, they were unilingual or very poor), when large travel sites didn’t see the point of promoting small boutique hotels and when it was still difficult to find someone that spoke proper English when calling hotels. The founder—John Youden—met boutique hotel owners through his travels in Mexico and realized they all had similar challenges; promoting on a very, very small budget, being taken seriously as far as quality, and understanding the hotel business (as most were not hoteliers). These small properties needed economies of scale and a brand of quality that would help put them into a group and give travelers, agents and writers the confidence that these were quality hotels. They needed a bridge and MBH became that bridge. These hotels also needed eyes and ears outside their property… Someone who was watching trends, keeping up with technology, monitoring the industry, etc… And I do that for them. How many properties in how many states? And what are the requirements are to be a member? MBH was founded in 1999. Today, we have 35 hotels in 26 destinations throughout Mexico. The criteria are part tangible (quality linens, elegant decor, original artwork, great amenities, etc) and part intangible (how does this hotel make you FEEL? Are you inspired to take a photo everywhere you look? Does the property tell a story? Is it part of the local heritage? Does the hotel a clear voice and personality?) In translating this concept into hotels, potential member properties must be intimate in size (our requirement is under 50, but most have less than 30 rooms), be meticulously and tastefully decorated, have perfectly choreographed, impeccable service and, most importantly, be willing to go to great lengths (and think outside the box) to provide guests with a faultlessly tailored, exceptional experience. 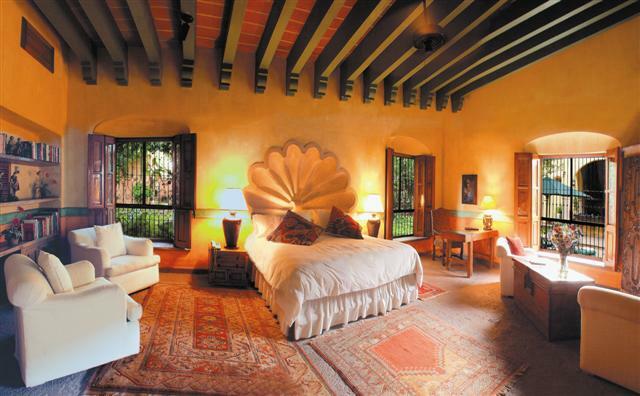 What do you feel the appeal is of the smaller properties in Mexico for the boutique traveler? This is a great question as I just posted something in Spanish on our blog (inspired by a recent study I read about the appeal of B&Bs and Inns): My title was Hoteles Boutique de Mexico; calidad, calidez y conocimiento (quality, warmth and knowledge). Basically, the appeal of a small hotel is just that: Quality of experience, decor and services. Warmth in service and details. Knowledge of local culture and the ability to help guests connect with this. As a society, we are over-informed, over-digitalized, and over-programmed nowadays. The small, boutique hotel takes you back to simpler times where you matter, and where the experience is truly personal. Travelers want unique, meaningful experiences and MBH is one of the channels. Small boutique hotels are also affordable, competitive, good to their loyal visitors and focused on ‘celebrating’ your visit. Boutique traveling is a completely different experience than the all-inclusive route, what’s the single most important thing you want travelers to know about that experience? All-inclusive experiences (aside from their economical pluses) are tailored to please groups of people and therefore must be standardized and somewhat generalized in terms of what they offer. They are molded to please the majority of guests who do not want to venture out of their comfort zone too much. A boutique experience throws you out of the zone…in a good way. It allows you to connect, to experience something different and to immerse yourself in a local culture. I know some of the properties are located in “off-the-beaten-path” locations; can you address the fears that travelers may have? True, many are off-the-beaten-path. But, the very nature of the boutique hotel (taking care of you even before you arrive) makes sure someone is expecting you, in many cases picking you up directly at the airport, sending a driver, etc. My personal philosophy is that an unbeaten path presents much less traffic and thus, less interest for potential trouble makers. Like anything, and anywhere in the world, preparedness, knowledge and common sense are important. How are the hotels working together to thrive in this tourism climate? I’ve seen more cooperation in terms of recommending each other. Group promoting is important and necessary. Shared co-op ads have been placed in key national magazines, and we have a good repeat guest program where our hotels pamper past MBH guests (even if the person did not stay in their own hotel). The hotels are working together to make the MBH traveler feel special and hopefully encourage more repeat business between properties. There are other hotel groups in Mexico, what makes you unique? Our niche. Our bi-cultural position (knowing and living in Mexico yet still understanding what a foreigner expects and needs). Our size (in terms of operation): we’re not corporate. We’re not government run. We’re just a very tiny group of people that love Mexico, love hotels and curate them in order to help others have the best experience possible. We don’t accept hotels that want to buy membership and we must know each of our properties. I recently made an important decision that I believe truly sets us apart. We no longer commission bookings. We can still help with reservations BUT not through commissioning. I am allowing the hotel to present its best rate and allowing the traveler to get the best deal on my site. I want to be a channel and a voice for small hotels. I want to be a friend for travelers that want a good recommendation. What are the goals of MBH and what are your plans for the future to build your brand? I want to give great, small hotels a platform to promote, a network to communicate with each other and share tips and strategies. I want to help fantastic hotels continue to get the word out and help them see what is so great about themselves. It’s also very important for me to be their eyes/ears on the Web. They don’t have the time or the resources to monitor activity and reputation. I enjoy doing this and keeping them aware. For the traveler, I want to be a friend. I want to be the girl who lives in Mexico, who visits hotels; the one who will tell you the truth. The one who puts together a list of places she thinks are pretty fantastic. For the media and travel agents: a one-stop shop. 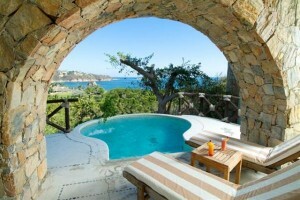 A place for advice, for recommendations, for the latest news on boutique hotels in Mexico, for current deals, etc. I’m updating our site to be more of a portal with great links to others sites. I don’t need to know everything; I just need to know where to find it and how it all fits in. We’ll be posting relevant blog posts on our hotel pages for example now. Great articles on other sites, maps, destination reviews; anything I think can help a traveler make a more informed decision. And of course, if they need me, I’m always an email away. Sylvie and Mexico Boutique Hotels are a dynamic combination. They are a small group with a huge impact. This attention to culture and detail is fantastic trend for all travelers and could change the face of how we see travel in Mexico. 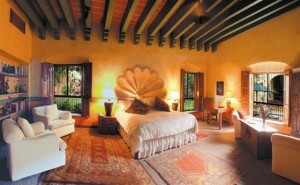 For more information visit http://www.mexicoboutiquehotels.com/ and for Sylvie’s blog go to http://www.mexicoboutiquehotels.com/wordpress/. MBH is launching a new website in the next few weeks so stay tuned. Great piece! I reblogged this on my own site (www.holisticmexico.org), please take a look! I’m also on Twitter @holisticmexico. Thanks again for the great information and have a wonderful day.